Pictures courtesy of Nancy Bray, thanks Nancy! From "The First 200 Years of Pendleton County"
Transcribed with permission by Bonnie Snow, thanks Millie! According to the division of the estate of William J. Bradford, who owned land five miles north of Falmouth, on Falmouth and Grassy Creek Turnpike (now Hwy. 17), his will being probated by his son, Thomas K. Bradford, on 16 March 1876, stated that the farm be surveyed and divided to his wife and their children, with the exception of 1 and 1/2 acres on the west side of the turnpike. These 1 and 1/2 acres was for the community to use for a church and graveyard. Two Baptist, J. K. Bradford and Bryan Parsons and two Methodist, T. J. Campbell and Arthur Purdy were to supervise the building of the church. T. J. Campbell was a carpenter, he and his son, Frank James Campbell, built the church with help donated by both men and women. The church was dedicated in 1881 and named Bethel Church by Mrs. T. J. Campbell. The first sermon was preached by Rev. Spillman, a Baptist minister. The first regular minister was Rev. Gaberial Mullins. The first Methodist minister was Rev. S. A. Day; both denominations used the church for several years. The cemetery section was given one acre in the will of William J. Bradford. At first, no one paid for gravesites. In 1895, Alex Emerich fenced off one acre, more or less, on the west side of the property; graves were then sold for $5.00 each and members were to keep the cemetery in good shape. When the new Christian Church (Mt. Moriah) was built in 1911, many members moved to the new church. There is no listing of the charter members of Bethel Church. The church and cemetery papers were all destroyed in a fire some years ago. By late 1940, the Bethel Cemetery was in thick bushes and vines. In 1950, several people who had loved ones buried there cleaned the cemetery and built a new fence. On September 15, 1952, Bethel Cemetery was incorporated, officers appointed and permanent care for the graves was begun. 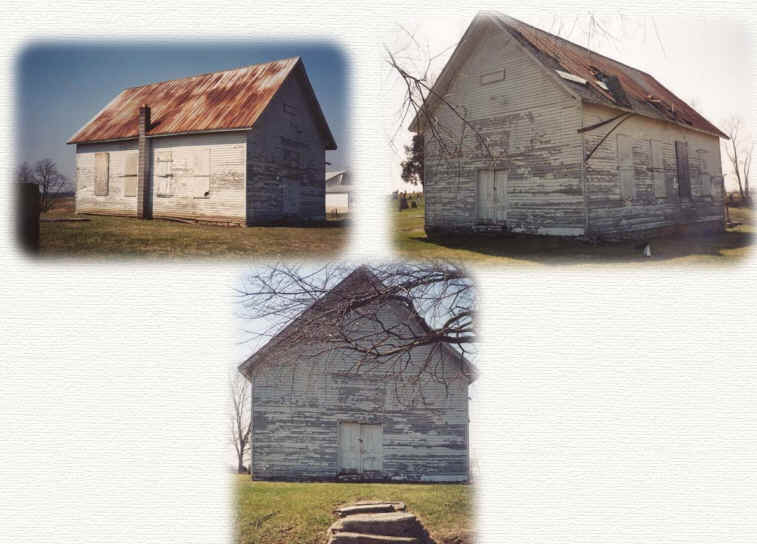 The Bethel Church building is now being used for Bethel Cemetery, Inc. meetings. Very little has been done to keep the building in repair, therefore it is in need of painting both inside and out, it also needs new windows and doors. The original pews are still in the building.